The 62 year old, who led The Netherlands team to third place in the recently concluded World Cup in Brazil, is expected to take up his position as manager this week but the former coach doesn’t expect he will be able to deliver immediate success. The Dutchman has already sanctioned the signings of young England left back Luke Shaw and Spanish midfielder Ander Herrera and is expected to splash further cash as he looks to strengthen the squad. 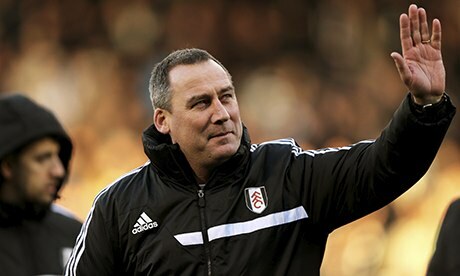 Meulensteen spent twelve seasons overall at the club in two separate spells under the legendary Sir Alex Ferguson but left the club immediately following the Scot’s retirement before the arrival of David Moyes as manager. And the Dutchman believes Manchester United is still beatable despite van Gaal taking over the reins from Moyes after a tumultuous ten months in charge. He stated that it is almost the end of an era at the club, with Ryan Giggs calling time on his playing career after 23 seasons, Rio Ferdinand, Nemanja Vidic and Patrice Evra all leaving the club with experience worth of over 2,500 matches going away just like that and that will make things very difficult for the van Gaal. The Dutchman went on to add that nobody expected the team to finish as lowly as they did under David Moyes, who inherited a side that had been crowned champions with a lead of eleven points and the club will want to shed those memories as soon as they can. He added Louis van Gaal comes in with a lot of reputation and that will be good for Manchester United in the long run.